Manor Park (known until 1953 as Malden and Coombe Sports and Recreation Ground) was bought by The Maldens and Coombe Urban District Council in January 1933. 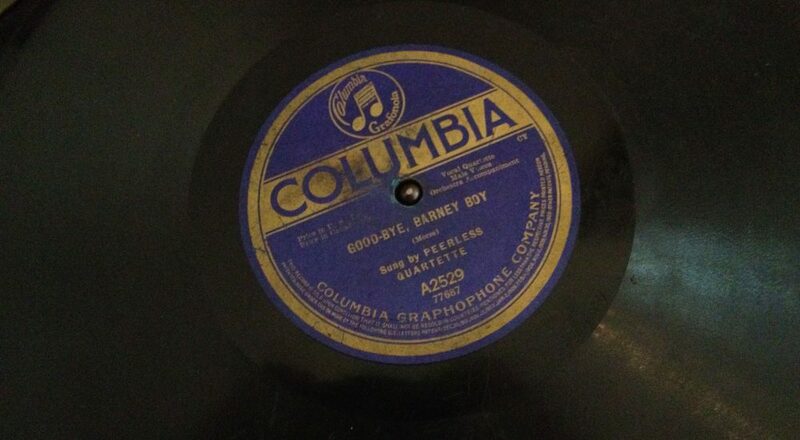 It had previously been the sports ground of the Columbia Graphophone Company, one of the companies which were amalgamated in 1931 to form EMI; the name is a reminder that Columbia had originally sold cylinder records played on a gramophone, rather than the flat discs played on gramophones. The EMI archives include a proposed layout plan, dating from May 1930, showing three football pitches, separate ladies’ and men’s cricket pitches, tennis courts, a bowling green, a polo ground, a putting green, a sand pit and a pavilion. [ii] The original pavilion stood in the area now occupied by the car park, between the present pavilion and the hall. Over 4,000 people attended the opening of the ground in June 1929 by Louis Sterling, Columbia’s managing director. By this time the sports facilities had been laid out, and the pavilion built, which was decorated for the occasion with ribbons in the Club’s colours of yellow and black. A cricket match was held after the formal ceremony, between staff from Salvin Street and ‘the rest’, an ‘old English fair’ was set up in one part of the grounds, and in the evening a concert was given in a marquee, and the pavilion was the venue for dancing – naturally, to music on the electric graphophone. Another ceremony was held in April 1933, this time the reopening of the ground to the public by the Chairman of The Maldens and Coombe Urban District Council. It was known locally as Columbia Recreation Ground. Today playing fields continue to be the principal feature of Manor Park. There is still a bowling green, home of Malden Manor Bowls Club (formed in 2009 by amalgamation of the men’s and ladies’ clubs), and tennis courts, now run by Tennis Avenue Academy which offers recreational playing facilities, informal coaching and intensive training for committed players of potential national and international class. In 2009 Manor Park Hall was reopened by Boris Johnson, Mayor of London, following a major refurbishment by the Shiraz Mirza Trust to which it had been leased. The Trust was formed by Cllr Shiraz Mirza, who was born in Pakistan, came to the UK in 1970, and following a paralysis which lasted six months rebuilt his life forging links with the local community; he became the first Asian Mayor of the Royal Borough of Kingston upon Thames in 2000-01 (an office he held again in 2007-08), and his Trust, supported by local volunteers and businesses, had already opened a community hall in Norbiton. This south-eastern field, now planted with young trees, is shown on the 1933 Ordnance Survey map as a separate sports ground with its own club-house and tennis courts, reached from the northern tip of Idmiston Square. This was also a staff sports ground, probably laid out in 1923-4. [vii] The original owners were Arcos Ltd who sold it in 1931 to Venner Time Switches Ltd.[viii] Arcos, the All-Russian Co-operative Society Ltd, was the official trading arm in Britain of the Soviet government, supplying goods such as flax and timber; it was also believed to be a front for espionage activity. Venner had been founded in 1906; by the end of the 1930s it was based at New Malden on the Malden Way and specialised in precision electrical apparatus such as time switches and synchronous motors and clocks. In the early 1950s the company also produced parking meters, and beacons for Zebra crossings: between 1954 and 1959 about 25,000 meters were sold to the Commonwealth and Europe, and installation began in Britain in 1958. Other innovations by this time included a silver-zinc accumulator and transmitting equipment for safety at sea. [ix] Venner’s sports ground was sold to the County Council in 1935 because a large part of it was required for a proposed arterial road between Green Lane and South Lane, a small part also being needed for the Chessington railway line; the road scheme was abandoned owing to the outbreak of war, and this land was used as allotments and eventually incorporated into the park. David Rymill’s fascinating history of the local area – Worcester Park, Old Malden and North Cheam: History at Our Feet’ – can be found on the Amazon website. [i] Royal Borough of Kingston-upon-Thames (Legal Dept): KCP 20192. [ii] I am grateful to Paul Lilley of EMI Archives for this information. [iii] Surrey Comet 8 Jun 1929; 12 Apr 1933. [iv] Football Club History Database, www.fchd.btinternet.co.uk. [v] Royal Borough of Kingston-upon-Thames (Archives): MB3/2/2; MB1/1/33. [vi] Sue Swales, Ian Yarham and Bob Britton, Nature Conservation in Kingston upon Thames (London Ecology Unit Ecology Handbook 18, 1992) p. 75. [viii] RBK (Legal Dept): KCP 20192. [ix] The Times, 21 Jul 1937; 1 Jul 1953; 1 Sep 1959.